It's all well and good knowing where to buy gold from, but knowing who to sell gold to is just as important. 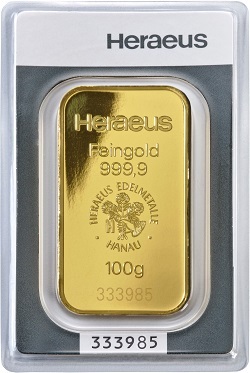 As the owner of investment gold you have a precious metal that holds great value. You want to make sure that you are getting a fair deal that accurately represents the true worth of the gold compared to the current market prices. At BullionByPost we buy back gold at market leading rates, so you can definitely sell back to us - whether you bought from us in the first place or not. We buy back gold and silver primarily, usually dealing in coins and bars for investment or broken jewellery for scrap. We want our customers to come to the conclusion that we're the best place to sell gold in the UK by themselves though, so we produced this handy guide to picking the right person or business to sell to. a business like BullionByPost. The internet is a huge marketplace, and a great way to advertise products, services and information. The internet will provide you with details about a company, and the more details the better. Use a prominent search engine like Google or Bing and begin your search. Be suspicious about gold buyers and sellers - it's your money at the end of the day. The obvious question is whether the gold company you're looking at buys gold as well as selling it, but you need to dig deeper. How old are the company? Where are they based? Do they have any customer reviews? A good company wants you to know these things. At BullionByPost we do our utmost to be open and honest with our customers. 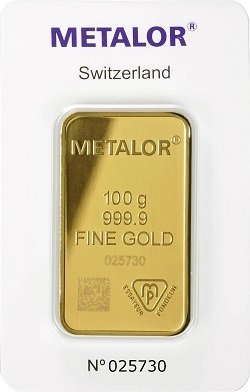 We find that by providing people with information about our business on our website we can prove not only our legitimacy as a gold bullion dealer, but also our quality. 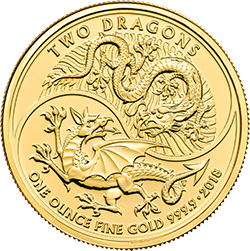 We are the largest online bullion dealer in the UK and we want to be the best too. We actively encourage our customers to read about our history and read the independent reviews hosted by eKomi. How easy are they to find online? How well does their website work? Some smaller companies might have a scruffy website because website development can be expensive, but if it has easy to find contact details and quick links to the right pages then you're not going to complain. Consider it jigsaw evidence to building up the big picture about each company you research. Websites like eKomi, Trustpilot, and Google often feature company or business reviews from customers. 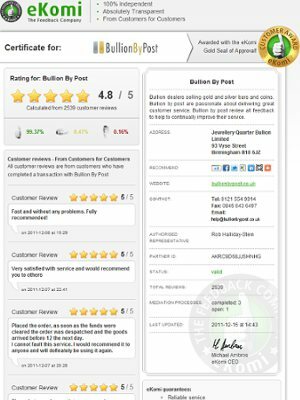 See what other people are saying about the gold dealers you're interested in. What did they do well and what did they do badly? Independent, third-party reviews are a very good source of truthful commentary about a company's performance. Many companies host reviews on their own website, but you can't guarantee impartiality. This is why companies like BullionByPost use websites like eKomi, to demonstrate our confidence in not interfering with the customer review process. To find out about a company's reviews, simply type their name and 'review' into a search engine. This will then generate results related to that search term, and should give you insight into their performance. At BullionByPost we have had over 18,200 reviews to date on eKomi, with an average customer satisfaction rating over 99%. At BullionByPost we find that a lot of our customers do our marketing for us by word of mouth. It's as simple as a passing comment in conversation about how good we were to deal with. Word of mouth is hugely important for businesses because people will always value the opinion of their friends and family more than they do a customer service review on Google. Has anyone you know bought and sold gold? Ask them about their experience. Who did they use? How easy was it? Would they recommend them? How easy is it to sell with this gold dealer? The last point is our next point - how easy is it to sell? A gold dealer that buys back investment gold should be transparent about their selling process. Look for a clear and simple explanation of how to get a valuation for your gold, how to book in that gold with them, and how to get the gold to them. Do they take any commission? All gold dealers have some form of commission that they take from a sale. The gold bullion market usually sees the refiner premiums accounted for in the selling price of the gold, and the buyer then takes a cut from buying it back to cover their operating costs. Read online or even as the business what their cut is from your sale back to them. Here at BullionByPost we buy back at 96%* of the gold market spot price for gold coins and gold bars. This 4% below the market price is factored in to the live buyback prices we have on our website. The price you see is the price you get. *We do sometimes offer customers over 96% for proof gold coins being sold with a presentation box and Certificate of Authenticity. The research that this guide recommends is to help you gain that confidence, through improved knowledge about the gold you have, the dealers around, and the gold price. Please note that this guide is just that: it is advice. We are not telling you who to deal with, how to deal with them, or when to sell. We are giving pointers about how to approach selling investment gold bullion.